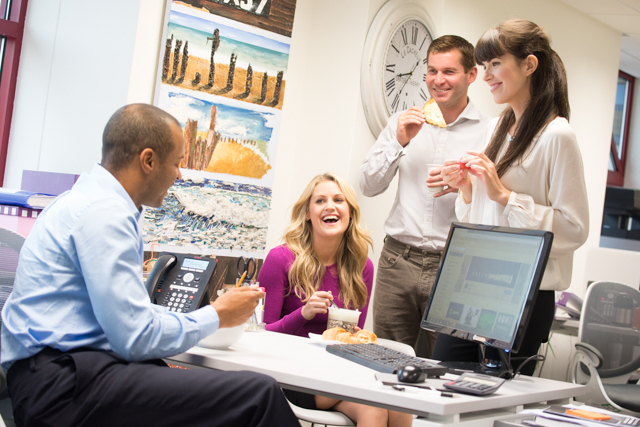 The first Deskfast Day is being held as part of the national ‘A Better Breakfast’ campaign this March. The day has been organised to encourage people to get ‘back to breakfast’ after figures show a decrease in the amount of people eating the ‘most important meal of the day’. Reports have shown that over half a million children are now going to school without breakfast. This number in adults is much larger as 1 in 10 don’t eat breakfast at all. Changing consumer lifestyles and a busier schedule have put more stress on mornings, pushing breakfast further down the ‘to-do’ list. As part of Deskfast Day, people are being encouraged to post workplace pictures to Twitter and Instagram using #DeskfastDay showcasing a huge community of those who care enough about beautiful brekky! There are many positives to work colleagues and classmates kicking off the day with a Deskfast. For example, it’s a fun and relaxed way to ease into the day and get the mind up to gear. 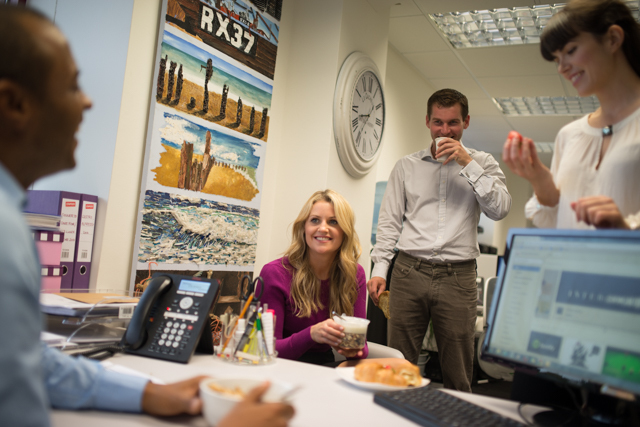 Eating together at work is also a great socialising tool to unite the workplace! Whenever mentioning ‘Deskfast Day’, please state that it’s run as part of ‘A Better Breakfast’. ‘A Better Breakfast’ begins on Feb 28th and ends March 28th. The multi-brand campaign travels to 20 Tesco and Sainsbury’s stores across the country as well as 3 mainline London railway station visits to educate and promote a fun and better breakfast occasion. ‘A Better Breakfast’ and ‘Deskfast Day’ are run by Brand Belief Ltd.
Is there Space on your Breakfast Table for Morynga Teas and Sprinkles?